Chicken shawarma is hands down one of my favorite street foods. It’s packed full of seasoning and then wrapped in soft bread and devoured in five seconds flat. Sadly I don’t always have time to run out and get shawarma. These chicken wings don’t just give you the flavor of shawarma; they are so easy to throw together you won’t even miss the wrap. And because these wings are baked, they turn out super crispy. Traditional shawarma uses a lot of different spices, but the blend I’m using makes it easy by including spices that can easily be found or that might already be in your pantry. 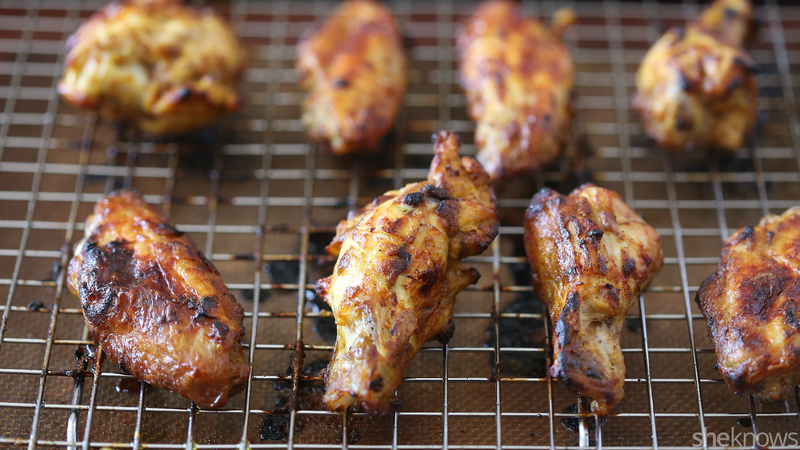 Little chicken wings are seasoned and baked until crispy. They taste just like chicken shawarma, but even easier. Eat them plain or dipped in super-flavorful crushed garlic mayonnaise sauce. Set aside the chicken wings, and in a large bowl, whisk together all the remaining ingredients. Add in the chicken wings, and stir to coat. Cover, and let sit in the fridge for 12 hours. 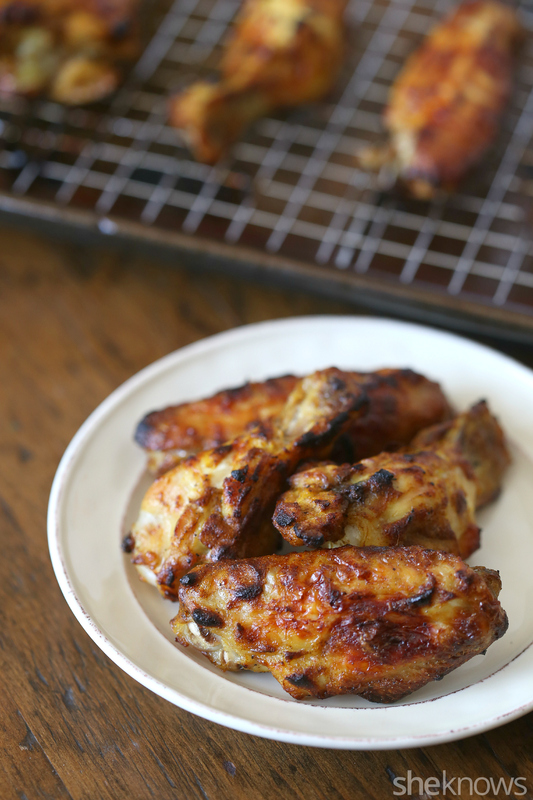 After 12 hours, heat your oven to 425 degrees F, and place the wings onto a rimmed baking sheet. Cook for 20 minutes, flip, and cook for another 25 minutes until crispy. Serve with garlic mayonnaise dipping sauce, if desired. Serve this garlicky dipping sauce with the shawarma wings for an irresistible combination. Mix together, and serve with wings. For tons of great recipes, like our I page on Facebook.